A root cause of mating issues between male and female connectors is bending and twisting of terminals from the crimp process. These parameters need to be monitored and controlled in the crimping department. BAS 1000 is an inspection station designed to measure bend angles, parallelism and twist. Groups of cutting machines or manual crimp presses can share one BAS 1000 measurement station. 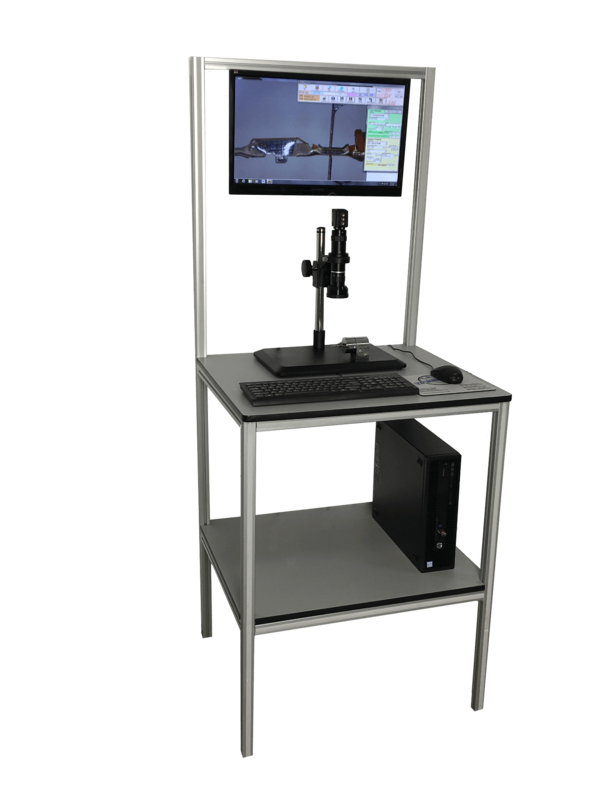 A microscope is connected to a PC with specialized software for measurement and saving of bend angle, parallelism and twist values. measured values are compared to specifications saved in central database.